PanARMENIAN.Net - By discovering the culprit behind decreased blood flow in the brain of people with Alzheimer's, biomedical engineers at Cornell University have made possible promising new therapies for the disease, Science Daily reports. Science Daily. 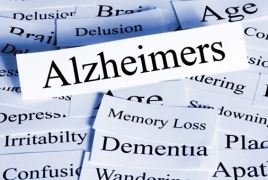 New Alzheimer's therapy with brain blood flow discovery?